Anthony Tran noticed a gap in the market when his WordPress design clients constantly asked if he knew anyone who could help provide ongoing WordPress support and website management. So, he filled that gap by creating his latest business, Access WP. 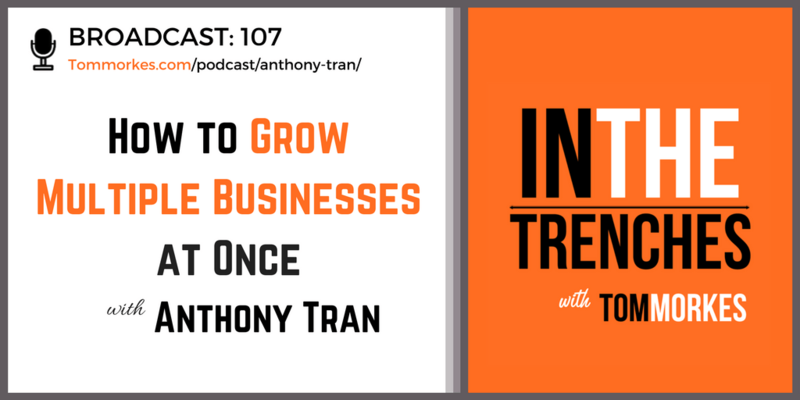 He continues to successfully grow both businesses at the same time and that’s why I can’t wait for you to check out this episode. He continues to successfully grow both businesses at the same time and, in this episode, we’re going to find out how. Nice podcast guys, I’ve been challenged by this same situation – trying to build multiple businesses at once, though mine are unrelated. What I find the hardest is knowing whether it’s entrepreneurial “shiny object syndrome”, or pursuing some really good ideas that have merit. Hey Tom, thanks for having me on your show! Really enjoyed our conversation and I hope this inspires your community to build an online business. Cheers!